Cello's owner was arrested for animal cruelty. He came to CACC 3 months ago and although his owner fought to get him back the courts decided not to allow that. Cello is so sweet and loves everyone he meets. He can be rude and pushy with other dogs, but he is friendly and just needs a few good doggy friends to help him learn the canine communication and play ropes. He is very attentive to his handler and becoming a quick volunteer favorite. 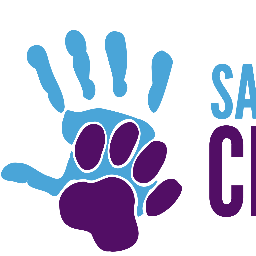 Rabies vaccine is already done and free, as is, in-home behavior support through Safe Humane Chicago. Scrumptious now Forrest with his new family!